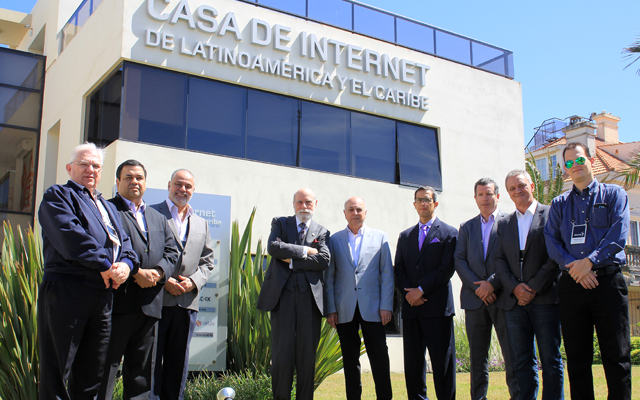 Vint Cerf, the noted American computer scientist regarded one of the fathers of the Internet and currently Google Vice President and Chief Internet Evangelist, visited Casa de Internet in early December for a working session with the LACNIC Board and staff. Cerf’s meeting with the LACNIC Board, the organization’s CEO Oscar Robles, and Deputy CEO Ernesto Majó, focused on the future of the Internet and its potential for growth within the region at a time when the Regional Internet Registry for Latin America and the Caribbean is celebrating its 13th anniversary with more than 5,000 members. 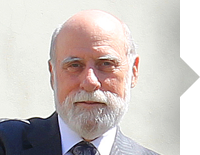 After his meeting with the Board, Cerf gave a lecture at Casa de Internet during which he listed a number of challenges and opportunities the Internet will bring in the coming years. This conference was attended by representatives of the organizations which are part of Casa de Internet —LACNIC staff, the Internet Society, RedCLARA (the Latin American Cooperation of Advanced Networks), LACTLD (the Association of Latin American and Caribbean ccTLDs), eCOM-LAC (the Latin American and Caribbean Internet and e-Commerce Federation), ASIET (the Ibero American Association of Research Centers and Telecommunication Companies), and ICANN (the Internet Corporation for Assigned Names and Numbers)—, Uruguayan government authorities, university representatives, LACNIC members, and other guests. During his presentation, Google’s Vice President spoke of various healthcare related projects that are underway aimed at using the Internet to improve people’s quality of life. He referred to the development of devices that allow monitoring certain vital signs or other parameters which might be used to mitigate disabilities.